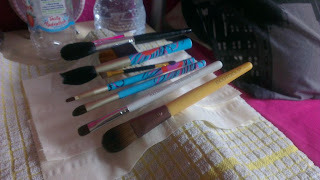 Make Up brushes are one of the worst carriers of bacteria and the main reason many make up users breakout and like many people I am guilty of not cleaning my brushes enough. It is quite disgusting when you think about it, it is recommended that you clean your brushes once a week if you use them every day! I don't wear make up to school everyday but I do whenever I go out any other time so If you are like me you should really aim to clean them every 3-4 weeks to stop bacteria build up. 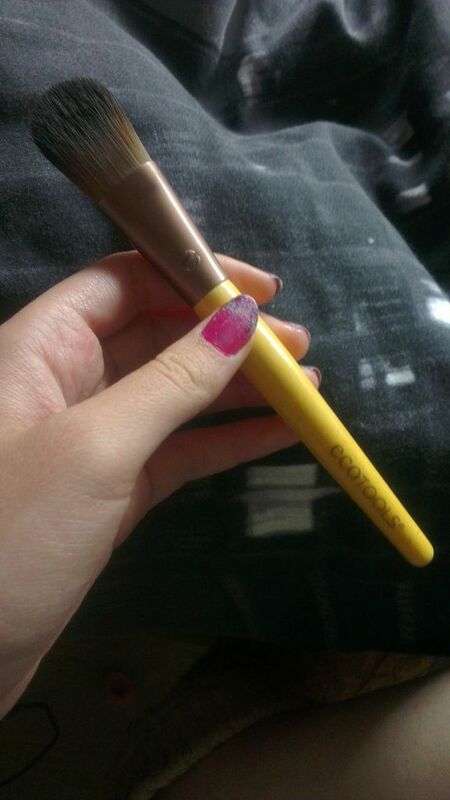 The only problem is that brush cleaners are really expensive but fortunately the best brush cleaner I have ever used was one I made my self from 3 basic household ingredients, it works so well and leaves your brushes so soft! All you need is water, oil and washing up liquid. 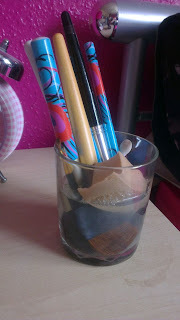 If I am cleaning all my brushes and my mums brushes then I will use the bathroom sink but when I am just cleaning a few I use a glass. Fill the glass about halfway with tepid water (if you use the sink maybe go for about a 1/3 full) and then add around 1tsp of oil and 1tsp washing up liquid. Leave your brushes to soak in it for about 10 minutes. Wipe them on some kitchen roll and then rinse them with water and wipe them on the kitchen roll again. keep repeating this until no more residue is on the brush. 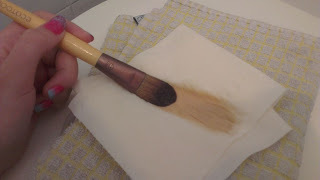 If you haven't cleaned your brush for a while you may need to make a new batch of cleaner and soak them again. If you need to re shape the brushes at this point. Then using a cylinder shaped item ( I used my mousse bottle) create a pyramid with some kitchen roll and leave the brushes to dry on top of the cylinder balancing so they don't touch the kitchen roll, making sure the bristles are facing down!! Leave them to dry and they will be good as new! You should aim to do this at least every month ideally every fortnight.